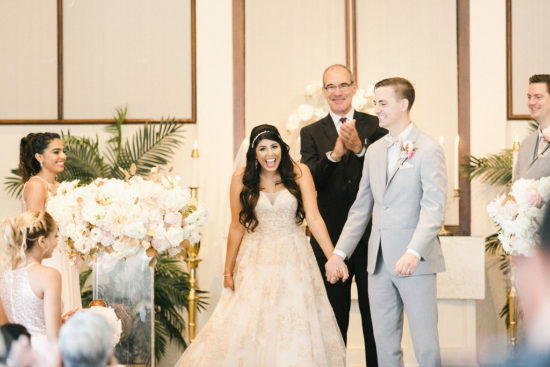 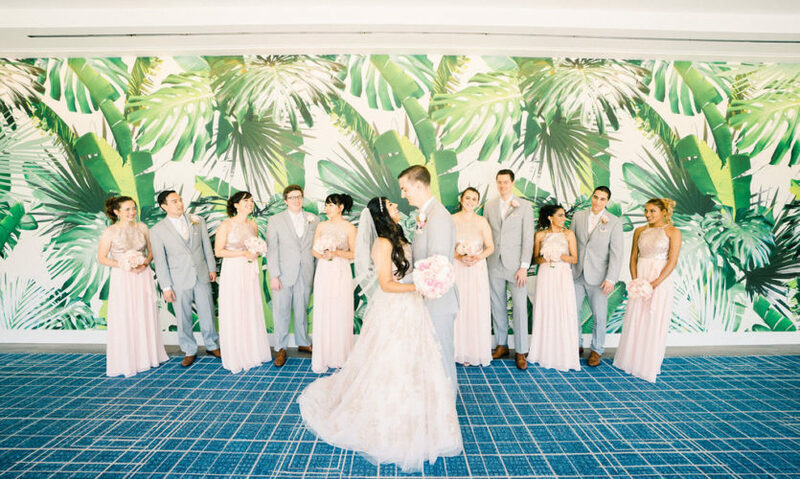 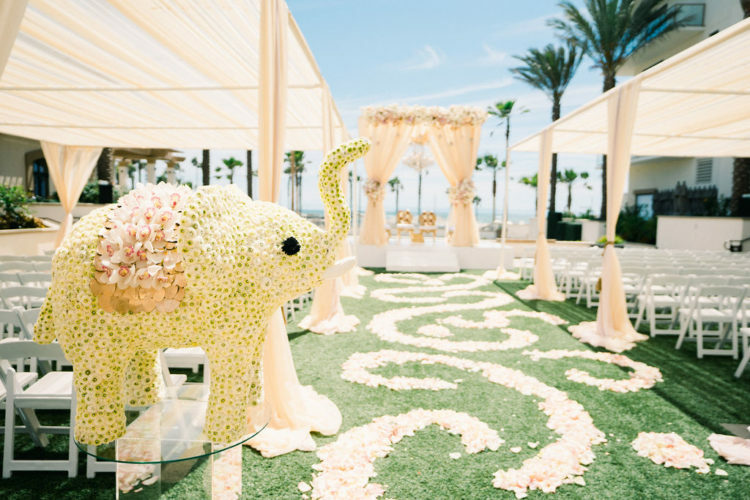 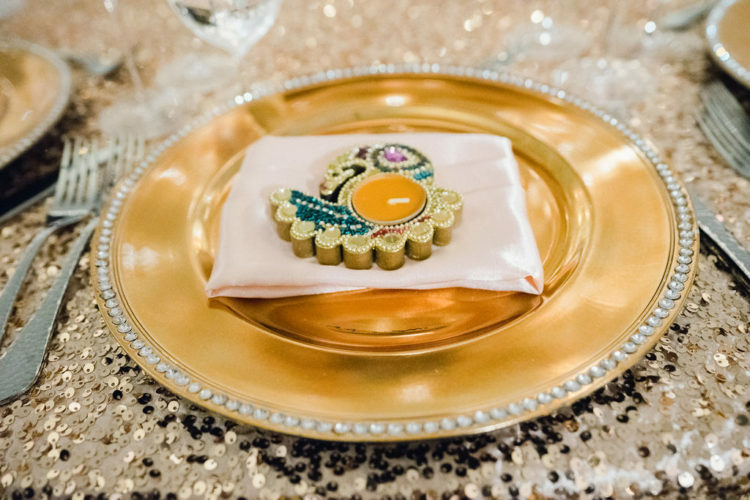 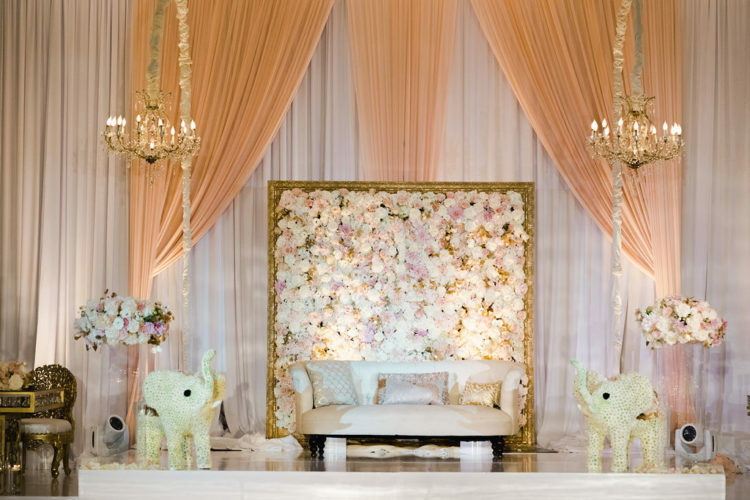 This lovely Waterfront Hilton Indian Wedding is one of our favorites! 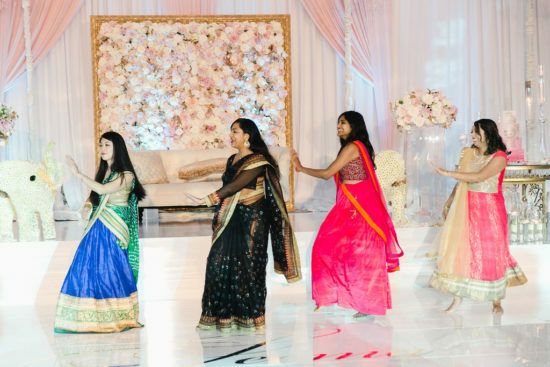 We do a lot of fusion weddings. 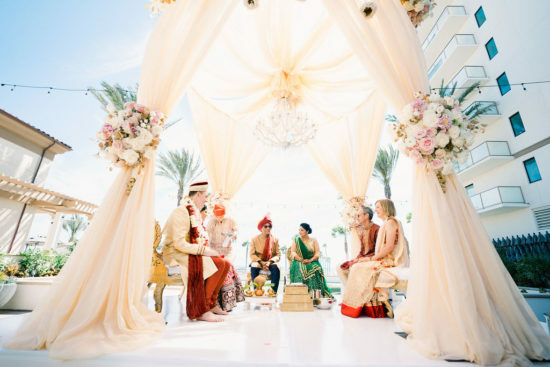 (Fusion weddings are when the couple is from two different faiths.) 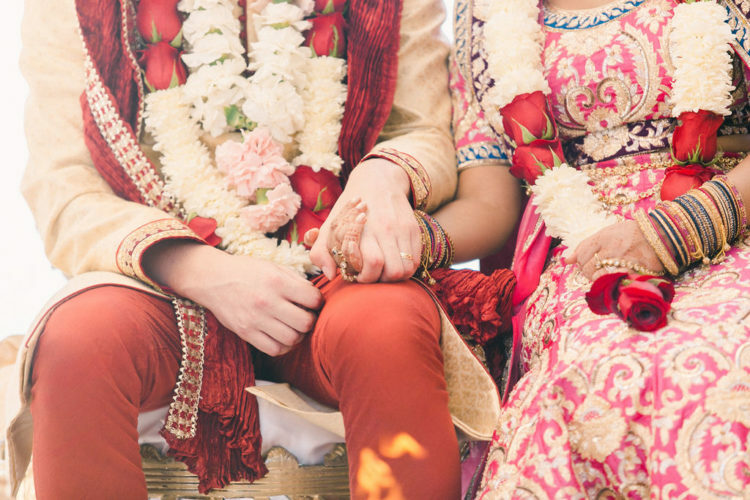 And these two families did everything they could to embrace each other’s customs. It was so much fun to education the Bride’s family on how Christian ceremonies are done (and it tickled my heart to watch the Bride’s Dad walk her down the aisle) and to help the Groom’s family enjoy every moment of the Hindu wedding celebration. 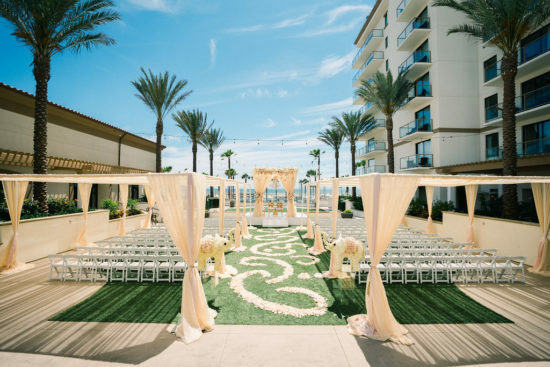 There were two wedding ceremonies, one in a Christian Church and the other on the oceanfront Vista Lawn at the Waterfront Hilton. 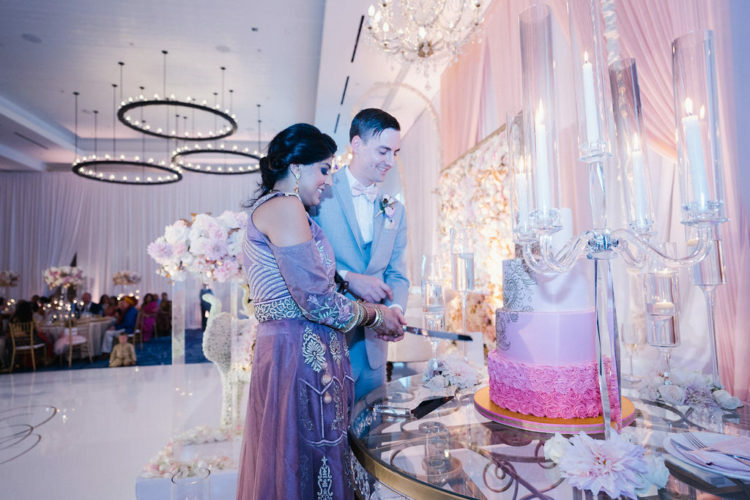 We kept the celebration going throughout the evening and into the following day. Do you want to see other Indian Weddings we’ve done? Click here to go to that gallery.